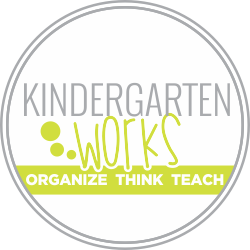 Give your students lots of opportunity to explore place value concepts like composing and decomposing numbers 11-19 in kindergarten. When you give them hands-on practice over and over they form solid foundations about numbers that lead to incredible results. It truly is amazing what they can do in kindergarten and how they can work through big numbers like up to 99 even! Here is one of my favorite games to play at the end of Thanksgiving/fall break all through the month of December. 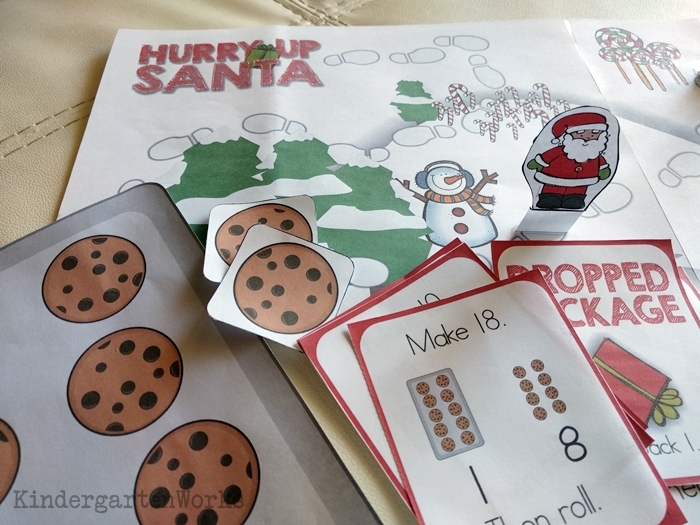 It’s called Hurry Up Santa and it’s a composing/decomposing game that builds numbers up to 20 using groups of tens and ones. It’s fun and easy to use! This normally is introduced in the teacher zone in small groups so I could help work through misconceptions. Eventually it was released into the practice zone where students play it by themselves. It would also make a great game to play with a parent volunteer. 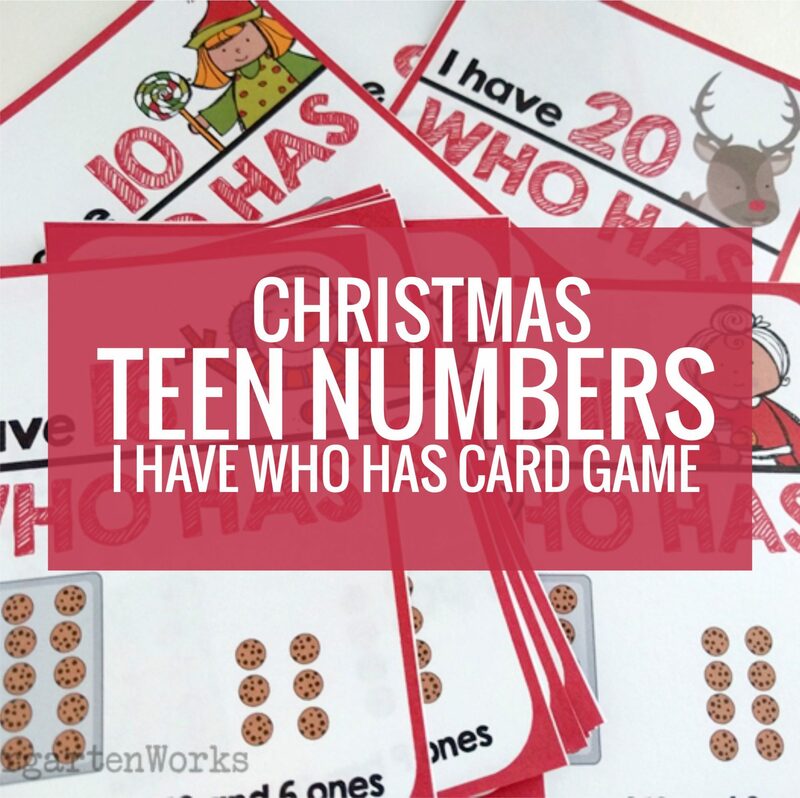 This printable game is an instant download – so there’s no waiting! 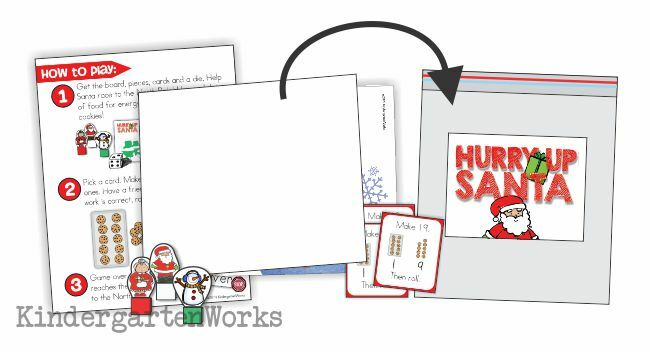 You print the pieces, laminate and cut. Then you’re set to go! 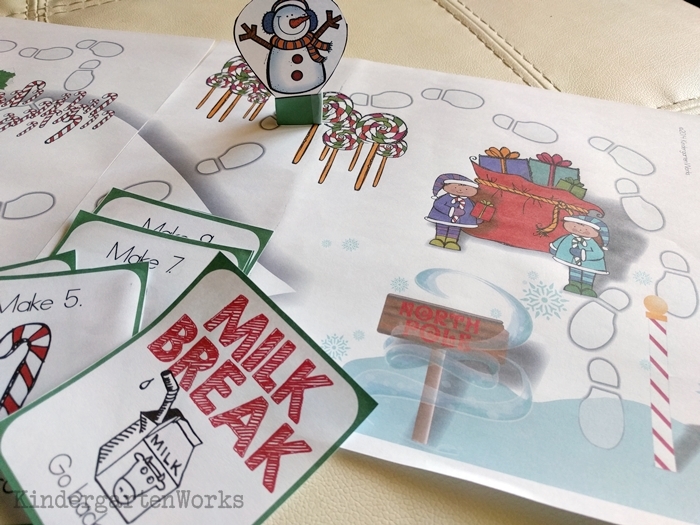 Let me show you what is included and my favorite parts in this printable Christmas game for kindergarten. 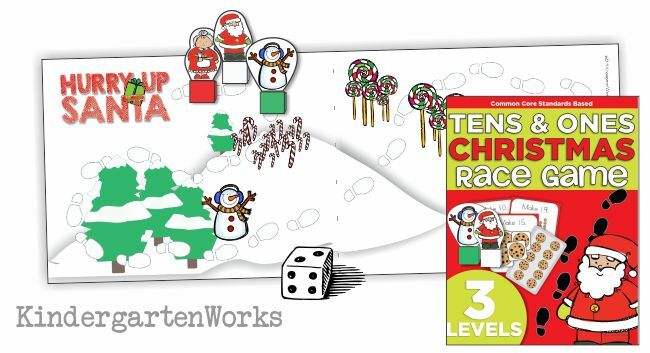 The Tens and Ones Christmas Race Game has a 2-page printable game board. 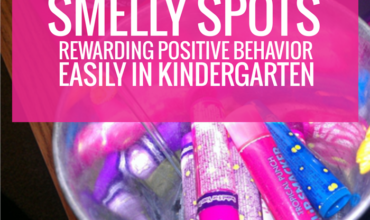 This is one of my favorite features – it gives lots of chances to practice as kinders move along the snowy Santa boot prints and has a “candy land” feeling with themed spots along the way. There are playing cards that tell students to “make” numbers like 6, 11 and 19. There are 3 sets of these playing cards – that way you can differentiate EASILY! 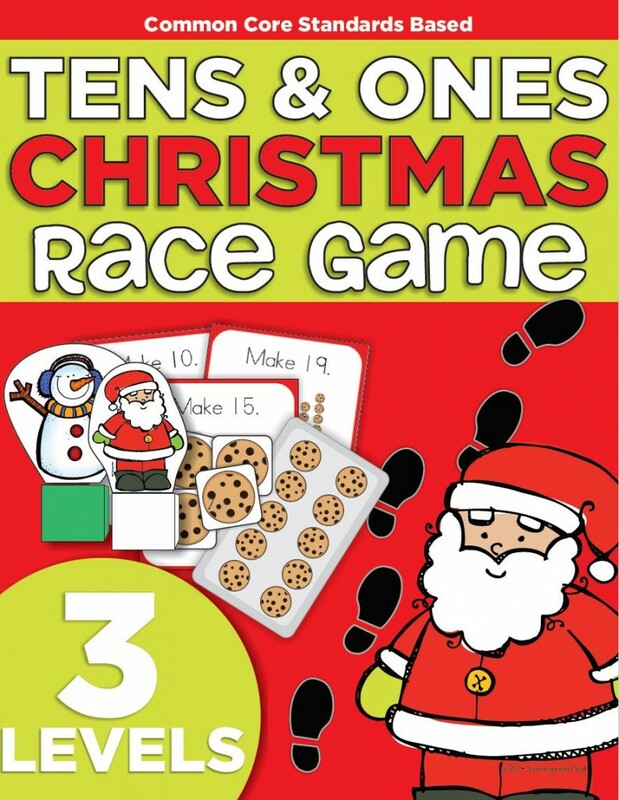 Fun cards that make it feel more like a race are included and if drawn, send a kinder back one or two spaces. Just building numbers with ten frames can get a little repetitive. 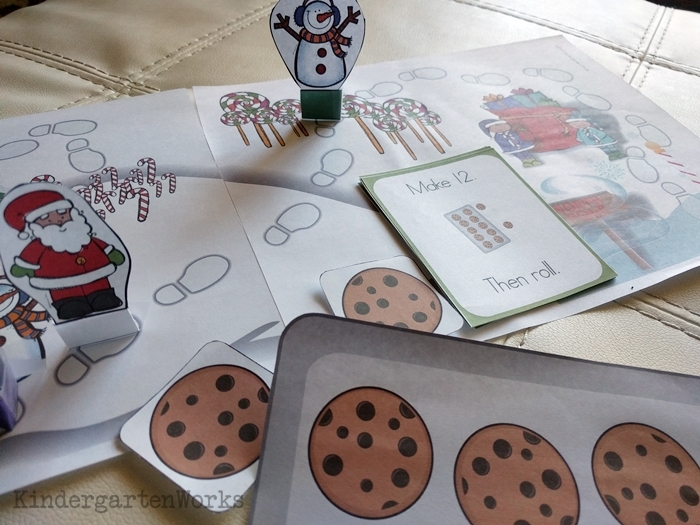 Why not use a ten frame looking (just like we did for the monster keepers when introducing the ten frame) set of cookies on a cookie sheet as your group of tens. Students learn to start counting at ten and then add additional (or count out additional) ones. It reinforces the strategy that starting with 10 and then counting (11, 12, 13…) is a more efficient way to work and partly why composing with tens and ones is helpful! The characters are easy to create! Simply cut them out and tape them onto the front of a linking cube. The paper tabs wrap around the base and are taped to hold the character in place and will be sturdy enough to last for more than a year. One of my favorite things included is a label to make everything easy to store! I totally love storing games when not in use in large bags like in my math cupboards or guided reading filing cabinet. This game, it’s pieces and visual directions all fit nicely in a gallon ziploc bag. The visual directions help kinders remember how to play! This game is available as an instant download in my shop. You can grab it now, have it prepped and it’s one less thing to think about when the Holidays ramp up. You’ll feel great knowing you have a solid, standards-based activity ready to go. If you like it- keep the fun going in January with my Frosted Frozen version for winter! And get this small group card game that works on a similar skill for free too. Great activity and clear instructions on how to introduce the game! 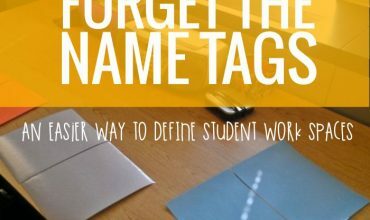 Fabulous activity for a tough Common Core standard! Thanks so much – I appreciate your compliment. It can be a tough standard and the more practice, the merrier!